A retailer in the Netherlands is moving ahead with its pledge to reduce the use of plastic, with its latest move seeing them remove plastic packaging from hundreds of fresh produce items, keeping them fresh by using dry misting. Read the full article here. Controlling humidity can increase profitability and is crucial for keeping electrostatic discharge (ESD) from building up. 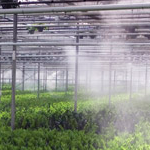 Humidification systems pump water through high-pressure atomising nozzles, resulting in a fine mist that immediately evaporates (called flash evaporation), allowing moisture to be immediately absorbed into the air. The high pressure pump is the heart of the misting system and is relied upon day after day. These systems depend on Cat Pumps to keep their high pressure misting systems running effectively and efficiently. To view our Misting Brochure, click here. Using a hot water drill, scientists and engineers from the British Antarctic Survey (BAS) spent 12 weeks in freezing temperatures, drilling two kilometres deep through the continent's western ice sheet, using hot water supplied by Cat Pumps model 3521C pumps. The data gathered by the research mission will provide understanding about how the region is likely to respond to a warming climate... Read more. Alternatively, if you would like to read our Case Study on Operating Under Extreme Conditions, please click here or you can view our 3521C datasheet here. Cat Pumps continues to build on its market leading position with the introduction of new products. Every new product is built with the same winning business philosophy: manufacture the longest-lasting most dependable products and back them with availability from stock. Contact us to learn why customers worldwide trust Cat Pumps to keep their equipment running. View our new products for 2019 or alternatively you can view our full Pump Catalogue here. Sandwell Foods, which trades under the name Halal World, was found guilty in Birmingham Magistrates Court on four charges of food hygiene breaches. "According to the Food Standards Agency (FSA), officials initially worked with the business in order to achieve improvements after identifying a number of failings." Read more. The Wash-Saver cleaning system from Cat Pumps features one or more high-pressure pumps feeding a distributed array of wash-down guns and lances. The perfect solution to hygiene issues for large food processing and production companies. To find out more about how we can help, click here. Or to read a case study on how this has already helped within the industry, please click here. Cat Pumps has recently introduced the new 7CP6160CS Plunger Pump. With pressures up to 172 bar and flows up to 40lpm, this pump is designed for the most demanding high-pressure applications. This pump offers flexible drive options, as well as high and low pressure seals that are completely lubricated and cooled, greatly increasing the life of the pump. To find out more, click here. The removal of labels from re-usable containers used in the food and other industries can be a time consuming and difficult process. A customer that specialises in the supply of cleaned, re-usable containers such as totes, crates and pallets contacted Cat Pumps to tackle a difficult problem they had with the removal of latex labels from plastic crates, used for meat and fish... Read more. Hydrostatic (Hydro) Testing is a process whereby pressure retaining components such as valves, piping systems, gas cylinders, boilers and pressure vessels are tested for strengths and leaks. Typically a hydrostatic test rig is used to test components for industrial use. The term test rig is sometimes also referred to as ...Read more. Mini Wash: What are the Benefits? Cat Pumps energy saving high-pressure pump package has been specifically designed for single gun/lance wash down systems. This highly reliable, low energy consumtion pump is easy to service, with pressure control and energy/system savings acheived. To find out more, click here. Please note that we have made some changes to the packaging of our Crankcase Oil. 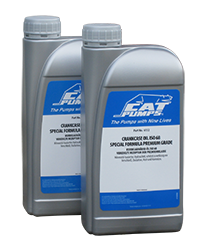 The oil produced specifically for use in our pumps is now available in handy 1L and 4L containers. The new containers have a window on the side with a Litres and Oz measure so you can see how much oil you are using and have left. The bottles are also a little more slimline than before which makes storage easier. The new part numbers and more information about our oil are available here. Cat Pumps has recently introduced a range of stainless steel adjustable pressure regulators for pressures up to 24 bar and flows of up to 284 lpm. 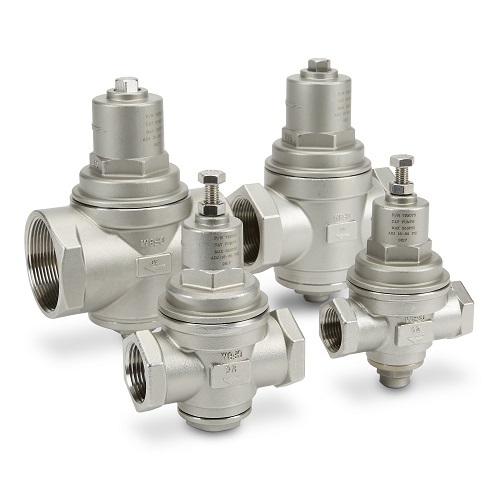 These pressure regulators are ideal for handling varying water conditions allowing easy adjustment for inlet pump specifications. View our Data Sheet. The HTU from Cat Pumps is a compact mobile high-pressure system utilising the highly reliable and long lived Cat Pumps high pressure plunger pump. The HTU can be used for testing of pipelines, delivery hoses, valves, heat exchangers and other pressure related components. To watch our NEW HTU demo video or to find out more information, please Click Here.